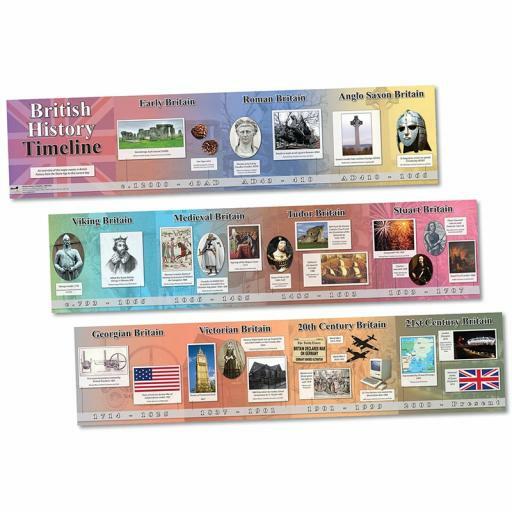 An overview of the major events in British history from the Stone Age to the current day, this timeline features images and photographs to help your pupils understand the chronology behind the study of history. 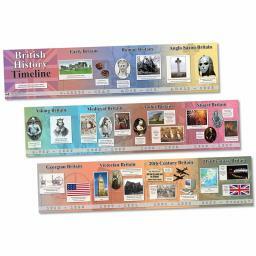 Events such as the Roman invasion, the signing of Magna Carta and the Dissolution of the Monasteries are shown, right up to the invention of the internet and the London Olympics in 2012. A great resource for any classroom.